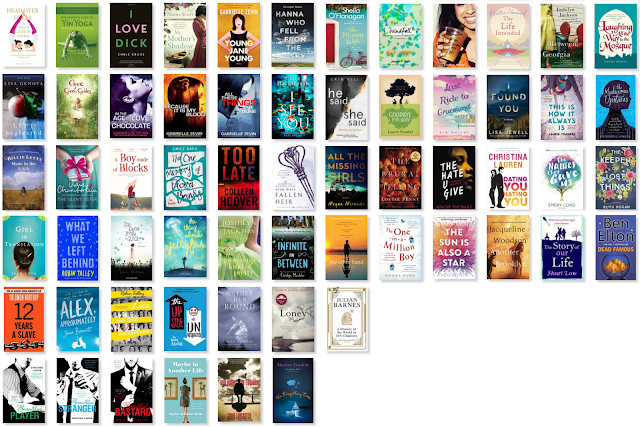 Last year I read 69 books, in 2015 I read 73 books, in 2014 I read 69 books and this year I read 60 books. The reading year started well and kept in flow till around October, then it was slow during the last three months. I finished my reading challenge early but then I got stuck on a few books that didn't really pull me in, so I only read occassionally. I am currently still in the middle of three books (which aren't counted). My statistic is almost the same as last year - mostly English books, a few rereads and I almost exclusively read on my iPad. Thank you so much for sharing! I finally got my Kindle and enjoying some Soviet Union classic!